My teacher always advice us to start with Arnica 1MM and Opium 1M in alternation. Sometime in CM. I also seen many patients who just recover from this approach. In addition to above list of mediicnes, If Ginko Biloba-Q is added it might be near complete one! Since it might help in supply of additional oxygen. Strokes are a heterogeneous group of disorders involving sudden, focal interruption of cerebral blood flow that causes neurologic deficit. 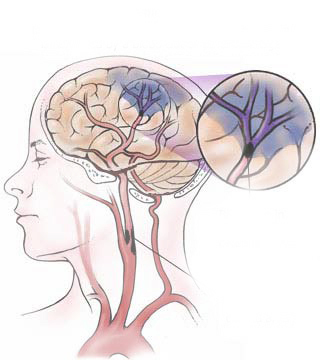 Strokes can be ischemic (80%), typically resulting from thrombosis or embolism, or hemorrhagic (<a href="http://www.testking.com/70-680.htm">70-680</a>), resulting from vascular rupture (eg, subarachnoid or intracerebral hemorrhage). Stroke symptoms lasting < 1 h are termed a transient ischemic attack (TIA). Strokes damage brain tissue; TIAs often do not, and when damage occurs, it is less extensive than that due to strokes. In Western countries, stroke is the 3rd most common cause of death and the most common cause of neurologic disability.